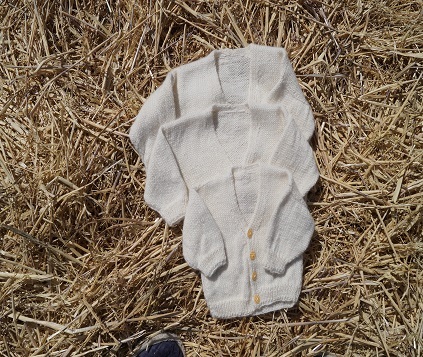 This elegant hand knitted Sherlin's Lil' Tot Cardi is a very traditional white cardigan made from 100% Alpaca yarn. It would make a beautiful addition to any baby's wardrobe. A range of coloured buttons are available on request if you wish to replace the original white ones. Please feel free to contact to discuss.